3D SLS scanning & stereolithographic printing. 1/5/2019: Shrinky services are booked until January 2020. We currently have no spaces available, but you are welcomed to inquire. Seunta now has in-house 3D scanning and printing. We use a multiple camera structured light scanning system that provides ultra high resolution combined with SLA resin printing. We do not use FDM printers for any step of the production process. The end result is a beautiful smooth prototype that can be reproduced. 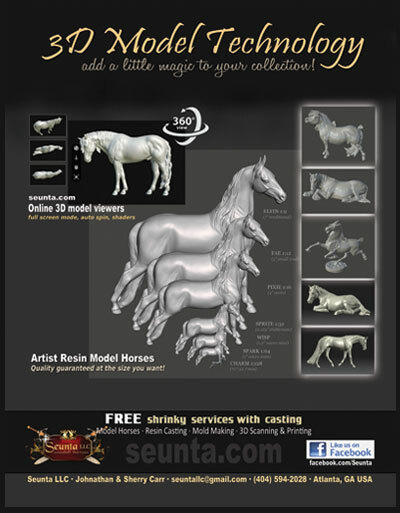 We will be offering different sizes in nearly all of the models we have carried. Our prototypes are durable, solid pieces that can endure the molding process, as well as handling for finishing. Hollow printing is available but is not the preferred method for a prototype used for reproduction. Below is the prototype for the Phoenix Wisp - slightly less than one inch tall. She is pictured here straight from the printer (the supports have been removed). Subscribe to the Seunta newsletter for first notice on new releases and much more!